The Head of Office is responsible for championing programme and operations integration and ensuring results-based management of the workplans at the provincial level. 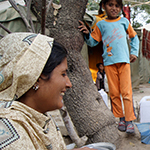 You will assist the UNFPA Representative in conducting policy advocacy in Sindh province. You will report directly to the UNFPA Representative. In the face of challenges resulting from the delay in reducing fertility in Pakistan, including gaps in fulfilment of women’s reproductive rights, the need for significant expansion of infrastructure and services to serve a larger population, the difficulty in achieving education goals with the growth of its school-aged population and a less favorable age structure for economic development, UNFPA is seeking candidates that transform, inspire and deliver high impact and sustained results; we need principled and ethical staff, who embody human rights norms and standards, and who will defend them courageously and with full conviction; we need staff who are transparent, exceptional in how they manage the resources entrusted to them and who commit to deliver excellence in programme results. In a highly complex operating environment, you will establish and maintain collaborative relationships with counterparts in government, multi-lateral and bi-lateral donor agencies and civil society to address emerging population issues and to facilitate programme delivery. You will be expected to analyze relevant political, social and economic trends in Sindh province and to provide substantive inputs to programme design, project formulation and evaluation, joint programming endeavors and national development framework. You will substantively contribute to the effective management of UNFPA activities in Sindh province in the areas of sexual and reproductive health, family planning, youth, population and development and gender, including in humanitarian contexts, monitoring results achieved during programme implementation and guiding the appropriate application of systems and procedures.